We’re gradually seeing more smart watches which are designed as watches first, and smart devices second. The latest model to be announced is the Veldt Serendipity, a device straight out of Tokyo, Japan, and set to go on sale later this year. 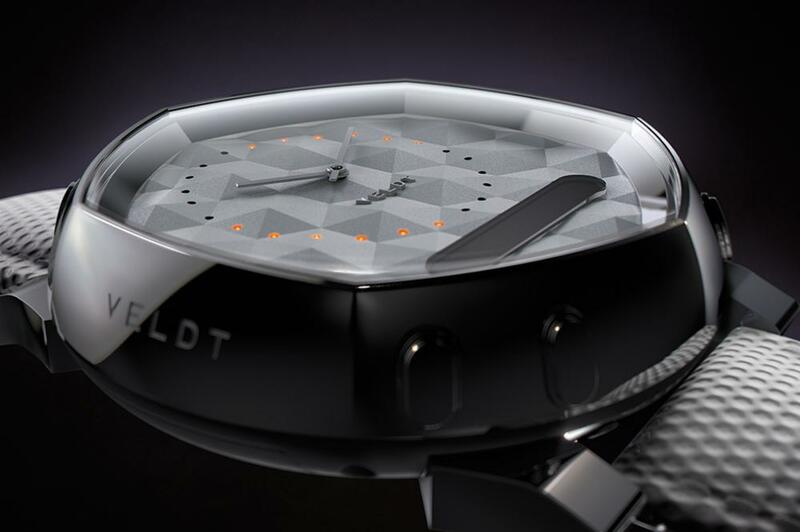 Like the Martian Notifier, the Serendipity has an analog face, but inside Veldt has added a tiny OLED screen it calls the Vivid Loop, which provides visual alerts for incoming SMS, weather reports, calendar entries, and other notifications. A ring of LED lights around the clock face also help keep you informed, and your phone hidden away until it’s absolutely needed. The Veldt Serendipity currently only works with iOS, and will deliver notifications from any app or service which integrates with the Notification Center, along with the standard email app. In addition to the notification system, the Serendipity comes with fitness tracking capabilities, and will count your steps, estimate calories burned, and monitor you sleep patterns too. Data is sent back to your smartphone using Bluetooth 4.0 LE, and collated in an accompanying app, where goals can be set. Around the edge of the face there are two shortcut buttons, used to quickly activate features on your phone. These are user-definable, but if you live in Japan, one can be set to quickly hail a taxi to your home. There are two Serendipity models, the C and the R. The latter is the more expensive of the two, and comes with a sapphire glass face, a more detailed face design, and a choice of five different color schemes, from black to green. The Model C only comes in three colors. Both are made from stainless steel and antibacterial resin plastics, and have a leather strap. It’s powered by two different batteries, one which should last four years for the watch itself, and another lithium-ion cell for the smart features. This is recharged using a micro-USB cable, and will last for around a week. The funky design certainly makes the Veldt Serendipity standout, but be aware the face is quite thick at 15.6mm, and it’s pretty heavy at 74 grams overall. The watch is set to go on sale in Japan, Europe, and the U.S. by December this year, and can be pre-ordered right now, but you’ll need a fat wallet if you want one. The Model C is $803, while the Model R is a whopping $1525.